The Citizens Commission on Human Rights® (CCHR) was established in 1969 by the Church of Scientology to investigate and expose psychiatric violations of human rights and to clean up the field of mental healing. Psychiatric “treatment” is severely limited to a paucity of harmful methodologies which depend upon force and which fall primarily into three major categories – psychoactive drugs, electric shock (electro-convulsive therapy or ECT) and psychosurgery. 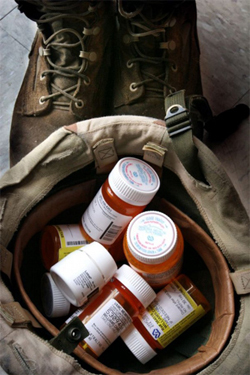 Civil involuntary commitment of people with insurance assures a ready supply of patients. 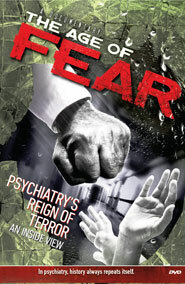 The presence of psychiatry has contributed considerably to the rise of unpredictable violence in society. By tracing this unpredictable violence back to the psychiatrists who actually generated the violence through their treatments, criminal action can be expanded to include the criminal negligence of the psychiatrists, who actually are just as guilty as the perpetrator of the act. Progress has been made. The facts, when uncovered, are too difficult to ignore. CCHR's work in exposing patient abuse, insurance fraud and other forms of psychiatric crime has been acknowledged internationally by politicians, attorneys general, police, health authorities, lawyers and civil rights workers, as well as thousands of victims of psychiatry. CCHR has Commissioners, members of the group who are authorized to perform various acts or duties. As a commission of citizens with the task of exposing human rights violations in the field of mental health, we appoint Commissioners who are Opinion Leaders in their respective fields. These are some of the ways in which a CCHR Commissioner may choose to participate: event speaker, visits to legislators, holding press conferences and media appearances, representing CCHR when meeting with law enforcement or other professional bodies, holding hearings to hear evidence and review documentation of psychiatric abuses and crimes committed, conducting inspections of mental hospitals, presenting findings of psychiatric abuse to legislators and media, and otherwise promoting CCHR and its mission. Please let us know if you would like to apply to be a Commissioner of CCHR St. Louis.